Insulating gloves offer personal hand protection for workers against electrical shocks when working near or on live wires, cables and electrical equipment including substation switchgear and transformers – risk assessment identifies electrical shock during the jointing of cables or excavating around live cables as a potential cause of accident which can be avoided when appropriate safety precautions and gloves are worn. Where protection against arc incident is required please see arc flash gloves with 50cal protection (Class 4) and for complete protection refer to our range of arc flash clothing. 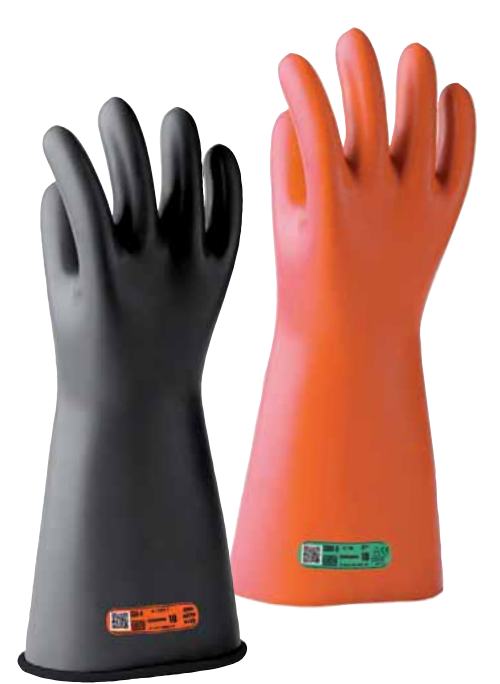 Each pair of electrical rubber insulating gloves must comply with the IEC 60903 and EN 60903 standards and as a result of this, each pair undergoes voltage, ageing and mechanical testing. 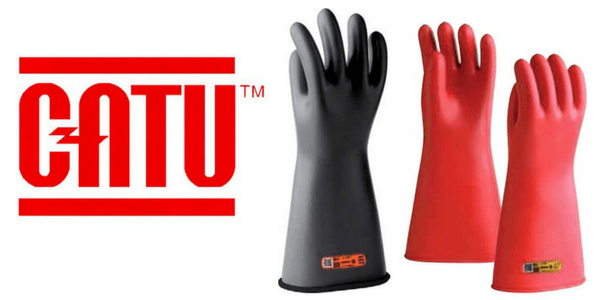 The ergonomic design of CATU insulating gloves makes the product suitable for any type of hand and are soft and supple to enable excellent dexterity and usability. In addition there are sizes ranging from 7 – 12 in order to cover all requirements both male and female. Other key features of the gloves include bi-colour to easily detect and abrasion, cut or tear to the gloves that could alter the dielectric properties of the product – this includes class 1 / 2 / 3 / 4 insulating gloves. 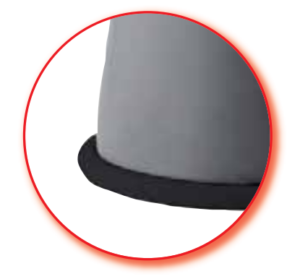 There is also clear marking and a rolled cuff on some gloves to allow for easy handling and comfort. The gloves are generally used in conjunction with a range of electrical safety equipment including insulating boots (dielectric) and insulating matting when working on or in front of switchgear. Insulating gloves should be selected according to their class which corresponds to the voltage level used – additionally the gloves are classified into categories according to environmental resistance properties detailed below. When selecting the correct insulating gloves all of the above factors are vital to consider in order to achieve the adequate level of protection required. In addition, some gloves will also require an under-glove for comfort or a leather over-glove to maintain product longevity. Inspection and storage of insulating gloves is also a vital factor to consider as all gloves must be visibly inspected after each inflation and before each use. This is to make sure there are no tears or abrasion to the gloves prior to use, maintaining their dielectric properties. 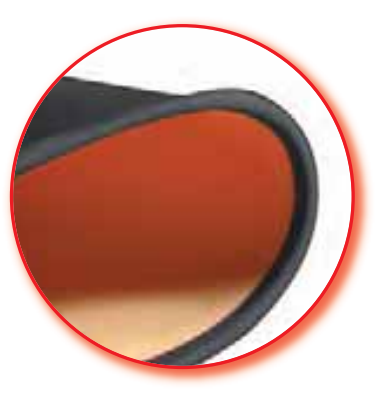 Insulating rubber gloves are also categorised by environmental resistance properties for protection against acid, oil, o-zone and very low temperatures. 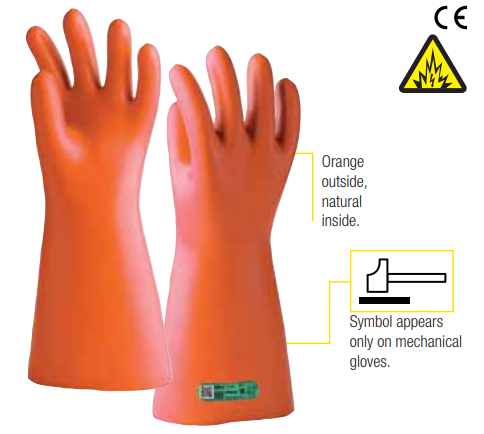 The following gloves manufactured by CATU Electrical do not provide mechanical protection and must be used with silicon leather glove covers or over-gloves. 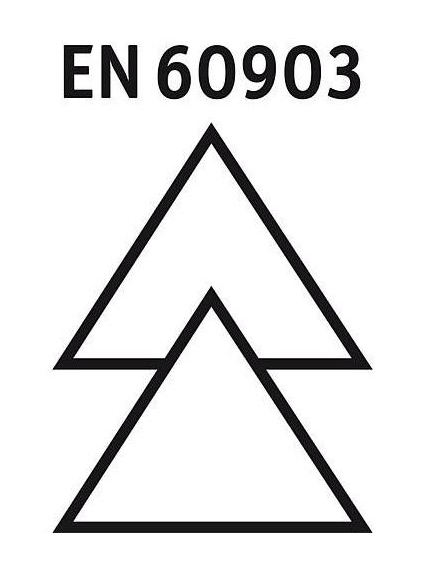 EN 60903 is the European standard which classes and categorises electrical insulating gloves worn to prevent and protect against electrical shock – the working title of EN 60903 is ‘Live Working. Gloves Of Insulating Material’. EN 60903 includes a range of tests, some of which are optional and only carried out if a specific property is to be claimed. The mandatory glove test assessments include checks on dimensions, finish, marking and packaging, plus tests on basic mechanical performance, dielectric properties, ageing treatments and thermal tests. The basic mechanical performance tests cover tensile strength and elongation at break and puncture resistance. Several performance levels are available for the dielectric or electrical insulation tests (see below Table 1). The thermal requirements consist of a flame retardancy test on the glove fingers and a cold crack test carried out after exposure to a minus 25ºC environment. Optional tests for gloves with special properties, together with their associated marking codes, are listed in Table 2. ♦ Category R combines the characteristics of Categories A, H and Z.
CATU Electrical also manufacture a range of ASTM D120 compliant insulating gloves. 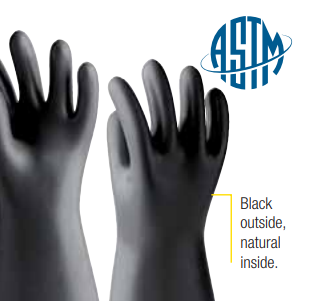 ASTM D120 standard and specification covers manufacturing and testing of rubber insulating gloves for protection of workers from electrical shock. 2 types of gloves are provided and are designated as Type I, non-resistant to ozone, and Type II, resistant to ozone. Six classes of gloves differing in electrical characteristics are provided and are designated as Class 00, Class 0, Class 1, Class 2, Class 3, and Class 4. The following tests shall be performed: i) ac proof test ii) ac breakdown test iii) ac moisture absorption/proof test iv) dc proof test v) dc breakdown test vi) ozone resistance test vii) chemical tests viii) tensile strength ix) tear resistance test and x) puncture resistance test. Insulating gloves with higher mechanical protection that standard rubber insulating gloves for working with full electrical safety without the requirement to over protect the gloves with leather type overgloves. CATU mechanical insulating gloves are arc flash tested in accordance with IEC 61482-1-2 Class 2 (ASTM F2675/F2675M). T&D are approved vendors to most UK DNO’s and are able to help specify and advise on the correct insulating glove, voltage protection and type of glove required. Double Triangle Symbol – gloves marked with this symbol are suitable for live working according to IEC 60 417-5216. 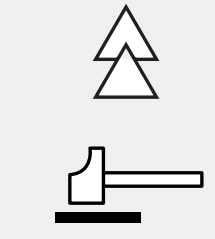 Mechanical Hammer Symbol – the insulating gloves provide additional mechanical and worker protection against impact. For the UK utilities network, working with live lines and carrying out inspections on overhead lines is commonplace with this type of work being carried out daily. Electrical safety and worker protection is vital to prevent injury caused by arc flash explosions or electric shock accidents occurring. Hot glove working traditionally consists of workers carrying out essential live line maintenance and over head line working to ensure uninterrupted supply of power. CATU insulating gloves provide the dielectric protection required for LV-HV cable jointing, live-line, substation, overhead and underground cable installations protecting against electrical shock – electrical tested insulating gloves for live working should be carefully washed after use, ensuring the rubber surface is thoroughly cleaned and dried completely using French Chalk. All insulating gloves must be subject to visible inspection after inflation and before each use. For Class 0 and Class 00 the glove tests comprise of an air inflation test and a visual inspection when the glove is inflated. The dielectric test is not required but can be organised at the end users request. For Class 1, 2, 3 and 4 insulating gloves even when in storage the gloves should not be used without having been tested within the last 6 months. Normal testing periods for gloves is between 60 and 90 days. 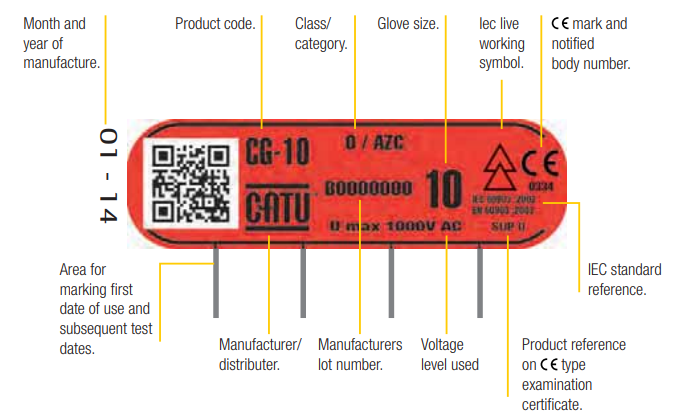 An inspection of the inside condition of the glove is also recommended by CATU Electrical – gloves should be stored in their packaging without being compressed, folded or deformed. Gloves should not be stored near a heat source with a temperature of 10 to 21°C. 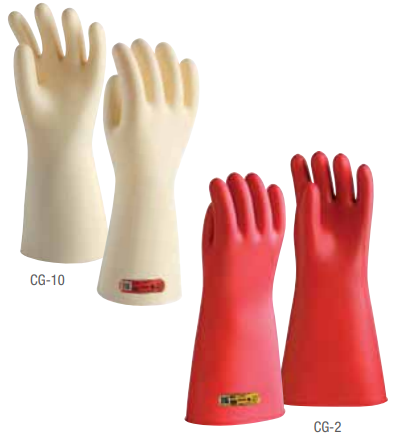 Standard insulating gloves are coloured either beige (Class 00 | Class 1) or bi-colour with red outside and natural inside ( Class 1 | Class 2 | Class 3 | Class 4).